With this product you can accumulate up to 69 Glitter Points. Improves texture, tone and brightness of the skin. 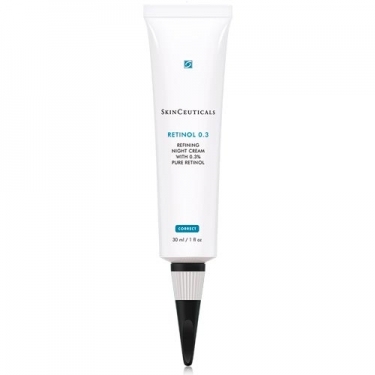 DESCRIPTION: SkinCeuticals Retinol 0.3 from SkinCeuticals is a night anti-aging cream with 0.3% pure retinol. This product contains the highest concentration of pure active of the market and has developed technologies to optimize anti-aging treatment and enhance their results on the skin. With this system, which is similar to a cell membrane, there is an increased amount of product available to act on the skin, which causes the active release to be slow, minimizing their irritation potential. Aplicar 3-4 gotas uma ou duas vezes ao dia, na pele limpa e seca.